Children's Book Press (CA), 9780892392988, 32pp. Bilingual English/Spanish. 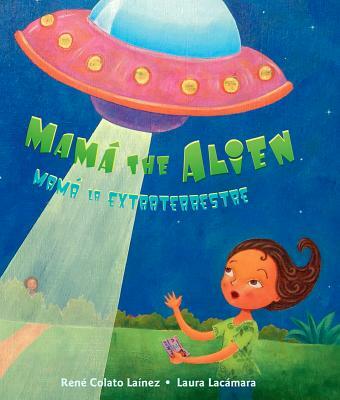 In this lighthearted bilingual immigration story, a young girl sees the word alien on her mother's Resident Alien card and concludes that her mother is from another planet until the girl finds out that the word has more than one meaning.